The country’s global standing as a peace-loving and nurturing country is highly dependent on the Pakistani diaspora living abroad, more commonly known as the overseas Pakistanis. Although Pakistan Tehreek-e-Insaf has vowed for the inclusion of overseas Pakistanis in domestic affairs, with the provision of the newly-announced right to franchise for the coming by-elections, there are still some who firmly believe and advocate the introduction of increased incentives for them. One such individual is Perveiz Iqbal Losar, who with his NGO in Europe has taken matters in his own hands to promote a positive image of Pakistan world-over, as he thinks the country is deprived of a strong leader who could do this himself. “See, I believe Pakistan has not had a strong leader who could stand up for the country’s issues on the world stage with an upfront stance hitherto. 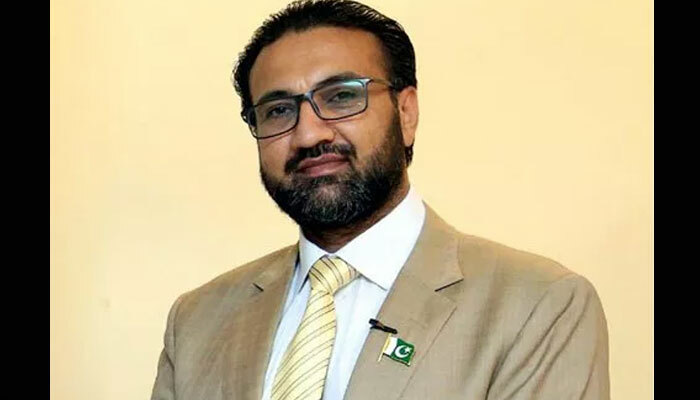 I do certainly believe in PM Imran’s dogma of change and support his perspective too, but until his claims of bringing rigorous reforms come into action, Pakistanis are at a huge loss of a figure who can represent them on international avenues,” Perveiz Iqbal Losar, an overseas Pakistani told The News in a conversation. Losar’s organization ‘EU-Pak Friendship Federation’ (EUPFF) has been dedicated to foster friendly ties between Pakistan and the European countries. Registered in 28 EU countries, EUPFF has a vision of propagating a friendly image of Pakistan, one that is fairly nascent to the outside world, and contradictory to the one that currently persists. As an independent representative of Pakistan working to project a favourable image of his homeland, Losar believes it is his and like-minded individuals’ responsibility at present to set things right. This, he thinks, is because Pakistan is in dire need of a leader who can assert his and the country’s stance without any inhibitions coupled with certain inefficiencies of the country’s Foreign Office. “We, under the aegis of EUPFF have established ‘Friends of Pakistan’ groups in 10 provincial and national parliaments across Europe, including Belgium, Spain, Greece, Germany, and Sweden. Our maxim lies in furthering soft image of Pakistan, preserving identity and integration,” shared he. Moreover, Losar and his organisation have been voicing concerns against oppression in Indian-occupied Kashmir since 2002. “At present there are two issues that we are working for: the long-standing Kashmir dispute and Indian atrocities that take place over there, as well as the relatively recent Kulbhushan Jadhav case,” he added. Losar also believes that the long-forgotten Pakistani emigrant community can play a vital role in the development of the country. Unfortunately, that being said, there is a deficit of proper rules and regulations in the country’s legal framework to safeguard the rights of overseas Pakistanis. “I strongly believe that the Pakistani population that has moved abroad is the backbone of the country which should be highly encouraged to invest in Pakistan, if the country is to make any advancement economically and amplify employment opportunities. “Tragically, the law and order situation of the country somewhat discourages the overseas Pakistanis to do well for their country. Their rights are not protected, their properties plundered, possessions looted. PM Imran should draft proper policies taking overseas Pakistanis into consideration, beginning by appointing an Overseas Minister for the purpose,” stated Losar. Also, Pakistan should keep religion and politics separate, as religious parties running for power misuse, distort religion for personal vendettas and vested interests, that act as a severe blow to the country’s image abroad, he added. With his strong ideas resting in bringing all institutions and political parties on the same page as a way of moving forward, Losar believes PM Imran might emerge as a strong leader to present the country’s standpoint on the world-stage if he also extends his policies to overseas Pakistanis. “I can do my part to bring a change as I have from the start. For now I am working to initiate a campaign in the coming future named ‘Chalo Chalo Pakistan Chalo, Dollar Mai Apna Account Kholo’ which will act as a huge investment for the country,” he asserted.